Get to work soon with some stick figure ninjas. Before the end of July, parkour ninja's will be coming to the PS4 to bring us the best version of N to date. Don't worry, there's plenty of new features to check out, including a level editor! What is N ? Being an upgraded version from the original N , players control a nimble and ninja who platforms his way around dozens of obstacles and robot enemies to collect gold. The graphics might seem primitive or retro to some, but the gameplay more than makes up for it. Up to 2-players either locally or online can team up in one of the modes being offered in the game. 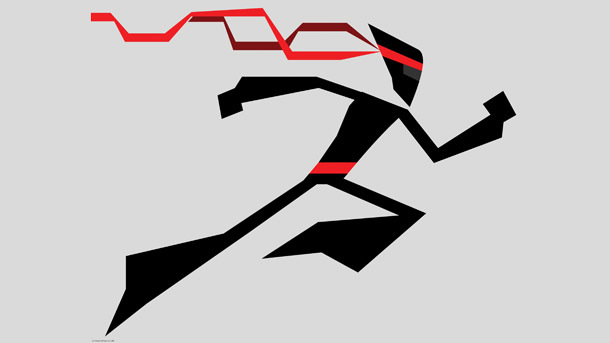 Working together as a team, the two ninja's must use their parkour abilities to navigate each level in different ways. As the trailer below showcases, there are 2,360 levels crafted, including their own unique traps and challenges. Leaderboards and even a level editor where players can share their creations with other have been built into this version of the game, making this the best iteration of N out there. N will be arriving on the PlayStation Store this coming July 28th. Pre-ordering the game today will grab players a small discount, cutting the game down from $19.99 to $15.99. Page created in 0.7481 seconds.